I had already dedicated a couple of posts to Electric Owl Studios’ K.I.C.K. (Kid's Interactive Creation Kiosk), when I first met Fred Gallart - President/CEO, after his talk at Games For Health 2008, in May. Listening for the possibilities of Fred’s belief that each child has a natural creative instinct and that is his job to provide an outlet for that expression makes Electric Owl’s mantra, "Something new every day” almost tangible. Fred, Master of Entertainment Technology, Carnegie Mellon University 2007 and Bachelor of Fine Arts, University of Florida 2005, has a background in fine arts and mass communication. His various projects, volunteer work with kids, and childhood influences led him to dedicate his career to making the world a better place for them. Electric Owl Studios are creating a child-friendly world in which the latest digital technology meets fine art in an attempt to push the boundaries of traditional children's entertainment. Their work focuses on building intuitive, unique applications for kids that inspire creativity and exploration. While working on their second-semester project, three Carnegie Mellon University grad students knew they wanted two things: they wanted to help kids, and they wanted to create something for the medical field. The three met at the Entertainment Technology Center at Carnegie Mellon where students can pitch projects as they complete their degrees. 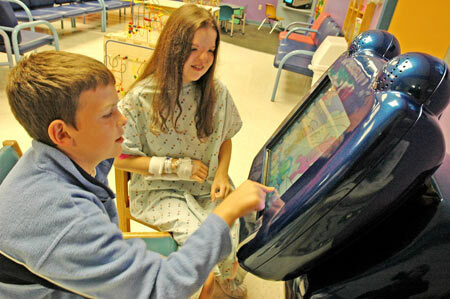 They developed an idea for a game kiosk for hospital waiting rooms and began to set the design in motion. Their idea evolved into a full-fledged company, and the students became businessmen. 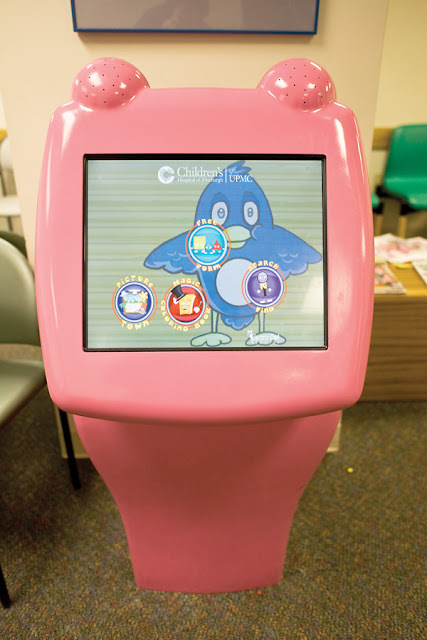 Fred Gallart, now the president and CEO of their company, Electric Owl Studios, chief technical officer Phil Light and CCO Patrick Mittereder decided on a game kiosk so that kids would have something quick, fun and easy to do while they wait at Children's Hospital in Oakland. "At first, we had the whole idea we wanted to do crazy things like turn the waiting room into a playground. We wanted to use our varying talents and expertise to do something positive. "But upon visiting a waiting room in Children's, the three decided on something with animation that provided more stimulation than the traditional toys, something that would reach all ages and something that kids could leave behind when their name was called without too much fuss. Their taxing process meant a lot of late nights, sometimes forcing them to sleep in the lab since it was a 3-mile bike ride from their homes in East Liberty. They developed prototypes, tested the product and, in addition to classes and other mandatory projects, pitched the idea to Children's, that they were connected with through professors at ETC. Luckily for them, the late nights paid off, and Children's bought their concept.